The girls and I went walking along the river again. We are going to try to go every Monday and Wednesday, but I’m not sure how many chances we’ll have before rainy season kicks in. Along the river there are several work out parks (like you saw in Day 107). 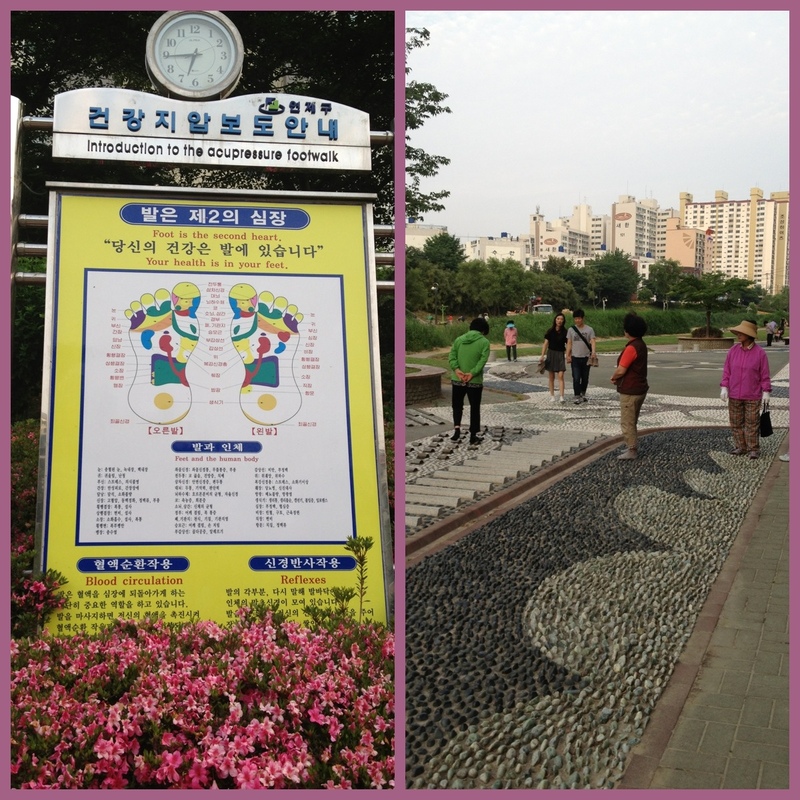 There are also several of these acupressure foot walks. Basically, there are rocks poking up. You’re supposed to take your shoes off and enjoy the pain of walking barefoot on rocks.